TheManaDrain.com > Vintage Community Discussion > General Community Discussion (Moderators: Zherbus, The Atog Lord, Godder, Demonic Attorney) > TheManaDrain.com - New Direction? Re: TheManaDrain.com - New Direction? This is where I think its more up to the community than the admins to policy quantity. The statements, "this looks bad because..." are pure opinion yet presented as fact which is what happens often when quality discussion decline. Were they challenged? Were the reasons for 2 bridges explained by the OP or anybody else in the thread? It does seem as if there are a handful of us that agree on one of the problems. Are there enough of us to do something meaningful about it? They were challenged, but when half the comments in every forum are of this quality, it really detracts from having any meaningful discussion. It's hard to fix this though. Moderation is not the answer as this makes people less likely to post in general. Judging by all the activity on Facebook groups, there is definitely room to increase the activity and quality of posts in the drain. For whatever reason it's currently not the case though. Hint: it's partially the medium. Great example of our discussion. How is it the medium and do you have any suggestions for the medium to address the problem? Update the forum software, better functionality and GUI. Push content creation in house; fund articles, videos, blogs, etc (condense as much as possible from sites like PureMTGO, MTGGoldFish, SCG, CFB). Community build, organize VSL viewing parties using a VOIP like Discord or Mumble (example). Leverage incidental access, open up that trading forum - create multiple reasons for visiting the site, content, discussion, trading/sales, etc. - This is a big reason why Facebook seems to work, people already access the site at a high interval for reasons unrelated to MTG. Rewake "TMD on MODO" theme (http://www.archive.themanadrain.com/index.php?topic=41738.90). 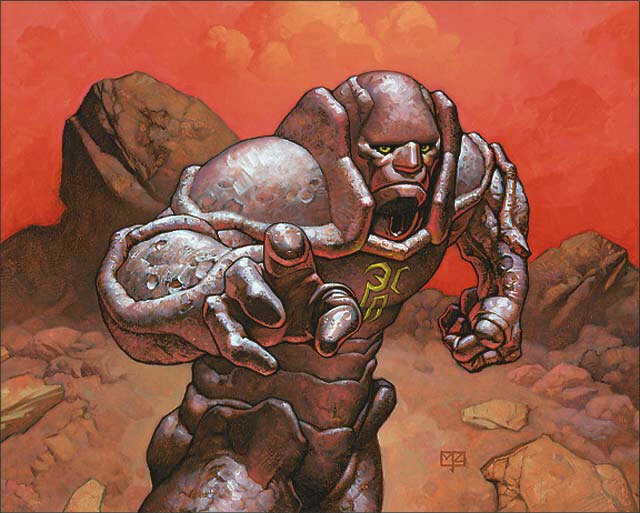 (Re)Build strong clan, make a simple sticky list who-is-who on MODO, encourage online testing. This thread has been really encouraging guys. Lots of great ideas for technical features, but also making it cheat that we have a pretty good understanding of the community issues we're going to face if we want the site to be something people are excited to use on a regular basis. As a quick update, the prototype site is functional, but there are one or two features I want to iron out before taking it public. I can respond more directly to specific ideas if you want, but I love the community-driven approach we've been converging towards here. One of the best feature this forum has that isn't frequently seen is the warning when someone posts while you're answering. This could potentially be bad in a high volume forum. Peach is right about the low discussion his reports bring. It might be because the pilots don't often use the forum but it seems weird that nobody cares that Slash Panther just won the event. Sorry, I haven't been reading the discussion, so I don't know if this was already suggested, but the one thing I think we lack the most in the Vintage community is a reliable Top8 database. I know that depends a lot on people posting lists, but other sites get the deck names and archetypes all wrong, too often putting a lot of different decks under the same name. I think if we could reproduce here what Morphling.de did, having good a search engine (that could search by card or combination of cards and dates) it would be awesome. wait wait wait .... Slash Panther won an event? The web I use for reference in terms of an incredible database is TC decks. Back on topic, I am of the opinion that everybody should focus on what they do best. So for me TMD should be the one that brings fresh new content to the format, discussing about new techs, cards and ideas, providing testing results (either IRL or online via Cocka or MOL) and have tournament reports (either personal or from the tournament organizer). Deck lists are just a bonus. A consequence. This is my forum ideal of where we should be going. PS: And yes. Slash Panter won a 43 player tournament. Javier David is one of the top performers of the MUD archetype in LCV and always brings new and fresh approaches to the tables! I can promise you that the Forinos and I know who he is. He has done some truly innovative things; I'm always interested in seeing what he's up to. Mike Noble also won with Slash Panther, shortly after it was printed, in a very heavy Jace, the Mind Sculptor metagame. It was a good call at the time. Dark Confidant wasn't really around, Snapcaster Mage hadn't been printed yet; there were far fewer creatures in the environment. Ryan Glackin top eight'd Champs with a Slash Panther list in 2011, when Hornung won. I use TCDecks and MTGTOP8, but a lot of results, like this Slash Panther one, are only available here and aren't posted anywhere else. are only available here and aren't posted anywhere else. Normally the LCV top16 is updated to TC decks on a monthly basis (if Roger Riera remembers to do so). I think these events are all kept track of there. I can promise you that the Forinos and I know who he is. Thanks inquisitor. For some reason I had completely missed this thread and I am kicking myself because of it. I would love to explore many of the ideas that have been touched on in this thread but as I am currently holidaying in Hong Kong and on my phone quotes are a little difficult to deal with. The quality/quantity discussion is one very dear to me. I have been a member of many different forums from the lowest "S***tpoasting" style forums to forums where every post is moderated and edited. TMD has always been held in my mind as one of the best forums for quality posting. I think this is something that we should foster within our small community, until the point where it hurts growth and things start to stagnate. Things stagnate for a number of reasons. Perceived elitism (whether imagined or not), forum organisation, and many other things come into play. Saying things like "Restricted forums don't work" (just an example) is not looking at the wider picture and culture around the site. Different forums have their own quirks and if we are trying to change the culture around here I think we should look at all our options for forum organisation. One reason I my article mentioned WOTLabs is that the forum there has things like a "Quick question/Quick answer" thread where players can find out information without having to start up a whole new thread. I have found users get very tired of new threads asking very basic questions, especially if not in a newbie forum or they are repeated every so often. Even setting out from the beginning that different sections of the forums are held to different standards, can help people navigate the site. Proper management of the forum, including moderation, and strategic planning is what keeps a forum relevant. If things are set out in a clear and coherent manner, clear enough that new players can find WHERE to put their posts it makes life so much easier. I don't think a Reddit style reputation system is of huge benefit. The do help with discerning good posters from bad when people post conflicting views. In my experience they also bring out the trolls who shitpoast just to farm negative reputation. I liked someones post earlier about only being able to upvote posts but it to not have a bearing on the account as a whole. Personally I think user groups is a good way to go. Perhaps not as strict as the old adept system but having known tournament winners be able to have that tag on their account, like a badge system might be a nod in that direction. If people know that to to get a certain tag you have to have done well or that you are a prolific good poster or something it may help differentiate posts with conflicting views. People with these titles etc could perhaps open their own threads in something similar to the old adept secction where people could ask them directly rather than ask TMD at large. Alternatively, that could be a part of being a TMD sponsored streamer or blog etc. I would love to see TMD sponsored (not necessarily paid) streamers or articles to appear on the front page. This would direct traffic both ways and be mutually beneficial for both parties. Linking all Vintage content to TMD is a great idea but some people may not be into it. Certain sites may not have a use for the link or may not agree to TMD linking their stuff. This may cause trouble own the road but I would love if that were the case. If anyone remembers mananation.com used to have a "weekly roundup" style article which would link to the previous weeks articles and sort them by format. Perhaps having someone helm a TMD "official" blog could do something like that. I don't know a lot about twitch streaming, but my vague understanding is that if you have a channel (say a specially created TMD channel) that you can 'host' other peoples streams on there or something. It might be neat to have a schedule of regularly scheduled streams somewhere, but even cooler to have a list of streamers who stream vintage who all get hosted when they stream so you dont have to go see who all is streaming at any given point, just click over to the TMD stream to see a vintage stream if there is one currently running. twitch lets you issue temp keys to allow others to stream, but not administer your twitch. There's a (non-mtg) channel called RetroGamingLiveTV where they have multiple streamers who "pass the baton" every couple of hours. I never really looked into how they do it, but the stream goes down for a few seconds, then pops back up with a completely different streamer playing a different game. It's pretty smooth haha, without the "so-and-so is hosting" thing, which means the chat stays constant.